Amazon Marketplace is the world’s biggest online retailer, with sales greater than the eCommerce sales of entire countries. 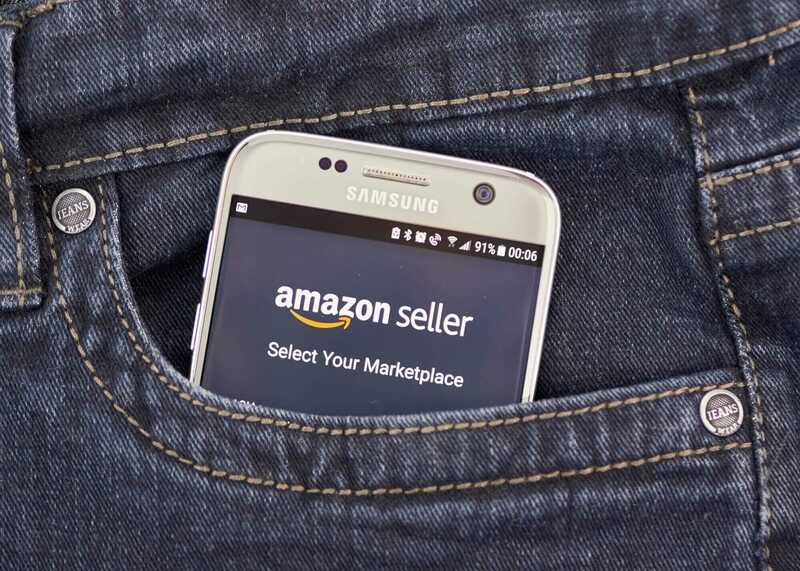 Marketplace Pulse estimates that there are over five million sellers on the Amazon marketplace, with over two million on Amazon.com alone. Amazon had enviable sales of over $232.8 bn in 2018 just from its product sales, with over 50% of sales coming from third-party vendors. SimilarWeb states that Amazon currently sees monthly traffic upwards of 2.5 billion visits, mainly due to the broad variety of products on offer. With multiple products being offered under all categories by different vendors at a range of price points, the customer can research products, compare prices, read reviews and purchase from a single platform. Hence, it is critical for Amazon to have an exhaustive list of categories and vendors to bring in this variety. On the other hand, it is very beneficial for sellers to list their products on Amazon. With customers using Amazon as the default ‘product search engine’, it gets sellers heightened visibility and access to a large customer base. Listing on Amazon involves lower overhead costs than one’s own platform since Amazon takes care of traffic, order management, payment, and customer support. Sellers can participate in the ‘Fulfilled By Amazon’ program, store their products at Amazon’s fulfillment centers and Amazon additionally manages logistics, shipping and returns on behalf of the seller. This gives the added advantage of demand shaping since products from FBA sellers qualify for Two Day and Free Shipping for Prime customers, who on average spend twice as much as non-Prime customers, at no additional cost to the seller. In exchange for services offered, Amazon charges a commission on each sale, called referral fee. The commission varies from 6% to 20%, depending on the category, with the average vendor paying around 15% referral fee on each sale. If the product falls under the media category (books, music, software, etc. ), there is an additional closing fee to be paid on top of the referral fee. High volume sellers (>40 products sold/ month) on Amazon must pay a monthly fee to qualify as a Pro Merchant account and unlock further benefits. For FBA sellers, Amazon charges the cost of storage and shipping on products sold. With a vast number of sellers selling the same product, there is very low differentiation in some categories, and hence, the order in which products are listed on a page becomes a significant driver of sales. Amazon uses its proprietary A9 algorithm to come up with the ranking order to provide the most relevant, optimized listings to customers at the top. While there are some obvious variables like number and kind of reviews, average rating, product description and quality of images that can influence the rank order, most of this algorithm is still a black box to sellers. Hence, a drop in listing position can lead to a sudden decline in order volumes. With FBA sellers getting an edge over others, it becomes imperative for them to do accurate demand forecasting and stock the right number of units at fulfillment centers. If demand is under-projected, sellers lose potential sales and may also lose money by advertising and paying for the Buy Box on Amazon for a stocked-out product. If demand is over-projected, the seller not only loses money on unsold inventory but also must pay Amazon for storage and shipping charges for getting the products returned. Hence, it is best to list only products with predictable, long term demand and returning customers on Amazon. Seasonal products, have a short shelf life or are short-term fads like the fidget spinner would require accurate demand projections. Good products to list are ones with consistent demand, large target customer base and reflective of market trends. To improve customer-centricity, Amazon keeps introducing new features, which can sometimes have negative consequences for smaller sellers. One such example is Project Zero, which aims to root out counterfeit products on Amazon. This allows brands to directly remove counterfeit items from their stores without going through Amazon. Using this data in machine learning. Amazon then auto-flags and removes any item that its algorithm identifies as counterfeit. With only big brands being given access to such new features. There is a high likelihood of legitimate products from smaller vendors getting erroneously flagged as counterfeit and dropped from the platform. Such issues can result in enormous losses for sellers. Lower prices tend to drive higher sales, and products/ sellers with higher sales rank higher on the listing. However, with eCommerce retail being a low-margin business, there is little scope for a price reduction. This makes it especially difficult for small sellers with an undifferentiated product to compete with institutional sellers. Instead of being exclusively available on Amazon, sellers should invest in their own websites and create a brand presence outside as well. This will help create higher brand recall, and customers on Amazon will search not just for the product category but for the brand-category combination. Such high intent customers are also less price sensitive, leading to good returns for the seller. Every brand should invest in increasing the average LifeTime Value (LTV) of its customers. LTV is the overall value that a customer brings to a seller over an extended period. There are simple ways to understand and measure LTV for any business. To acquire and retain high LTV customers, brands must work on offering subscription models which facilitate recurring purchases. Also, it can also build an email list of valuable customers and proactively market their products, solicit feedback, etc. to engage outside of Amazon. These necessary measures can go a long way in improving the LTV of customers. The Amazon-Seller ecosystem is a win-win for both parties as long as basic measures are taken to hedge risks on the platform and to use smart strategies while deciding product mix, pricing, and marketing.